This opportunity to shift your company from the static dark ages of the 20th century into the exciting future of the web on a crisis budget cannot be missed. Invest £399* and by using our cutting edge, self explanatory tool; update your own website's content as often or as little as you like without worrying about tricky HTML coding and with no fear of destroying the design. That's the beauty of Top-Content. 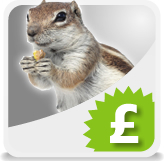 Pay a monthly fee of just £25pcm and benefit from one of the most Search Engine Friendly tools available on the market.